In a report released today, Donald Fandetti from Wells Fargo maintained a Buy rating on American Express (AXP). The company’s shares closed yesterday at $109.56. According to TipRanks.com, Fandetti is a 4-star analyst with an average return of 8.1% and a 66.3% success rate. Fandetti covers the Financial sector, focusing on stocks such as Discover Financial Services, Capital One Financial, and Synchrony Financial. American Express has an analyst consensus of Moderate Buy, with a price target consensus of $110.17, which is a 0.6% upside from current levels. In a report issued on March 4, Stephens also maintained a Buy rating on the stock with a $131 price target. The company has a one-year high of $114.55 and a one-year low of $89.05. Currently, American Express has an average volume of 3.92M. 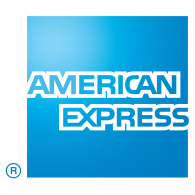 American Express Co. engages in the provision of charge and credit card products, and travel-related services. It operates through the following segments: Global Consumer Services Group, Global Commercial Services, Global Merchant and Network Services and Corporate & Other.